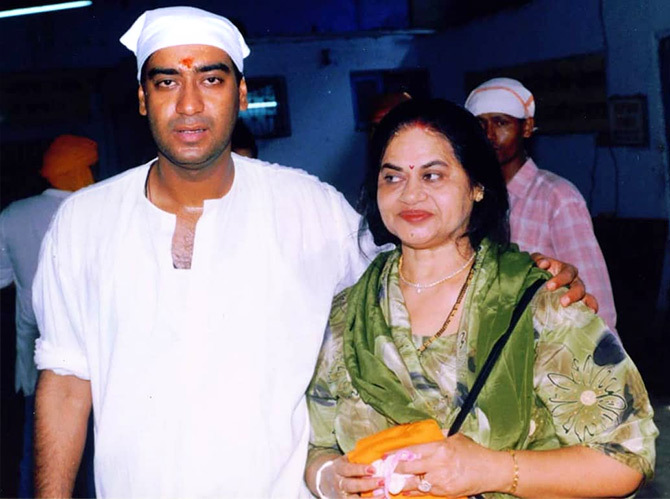 Rediff.com » Movies » Step inside Ajay Devgn's life! 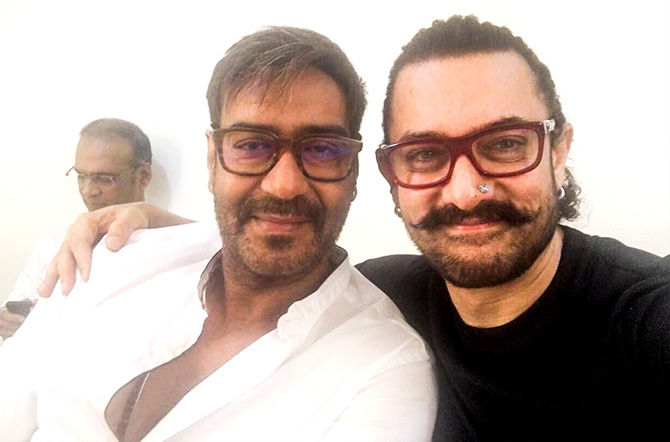 Ajay Devgn may be a superstar, but his life is quite similar to ours. He does all the regular things that common folk do, and seems to lead a full life. On his birthday on April 2, we sneak a peek into his life, and see what he is really like. 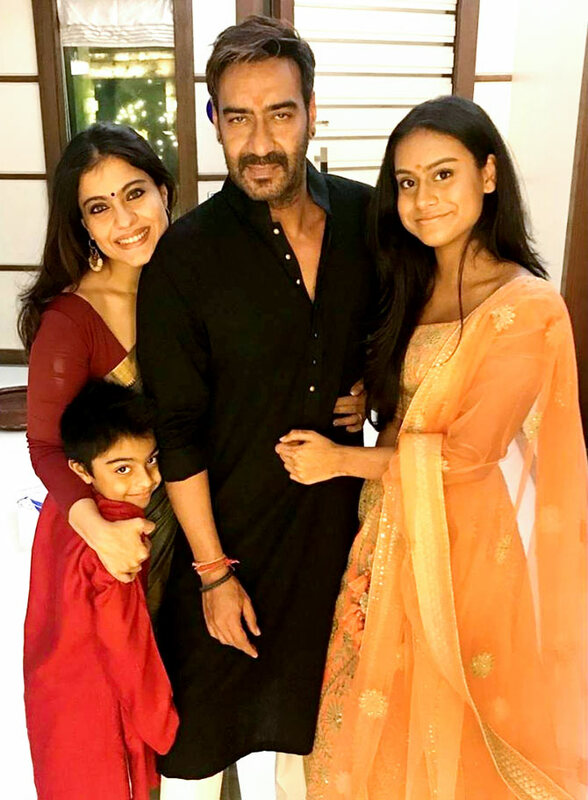 Seen here with wife Kajol and kids Nysa and Yug. 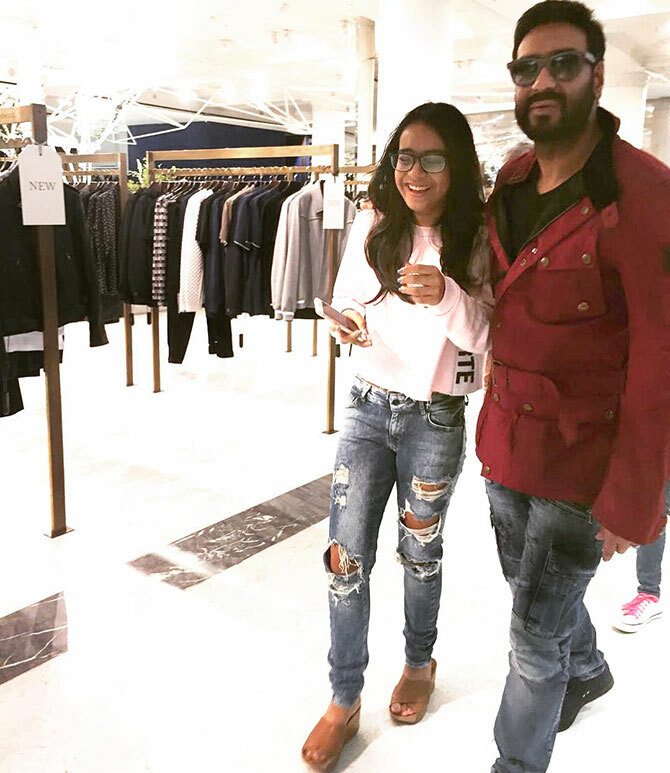 Ajay and Aamir starred in the hugely entertaining Ishq (which also starred Kajol and Juhi Chawla) in 1997, and their friendship continues today. 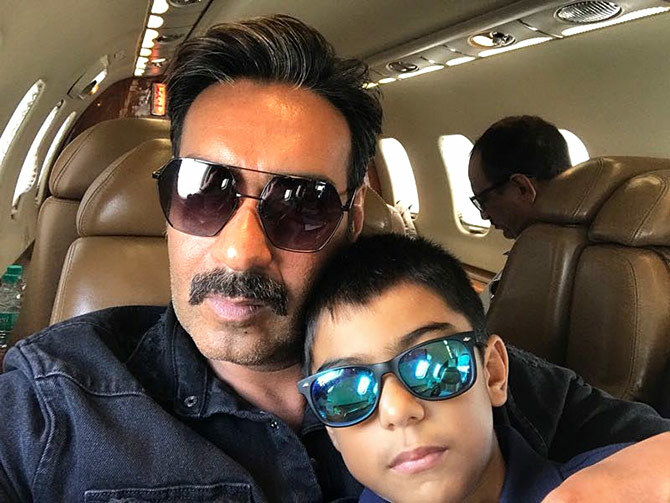 Daddy takes Yug to Lucknow, for the shooting of Golmaal Again. Ajay totally makes Nysa's day! 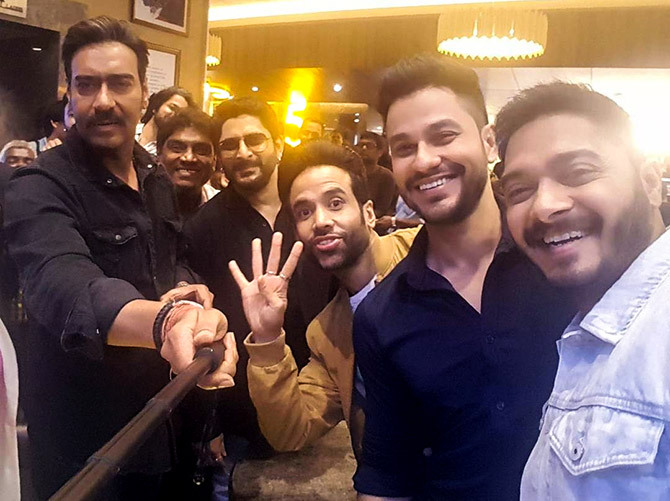 Devgn launches the trailer of Golmaal Again with Johnny Lever, Arshad Warsi, Tusshar Kapoor, Kunal Kemmu and Shreyas Talpade. 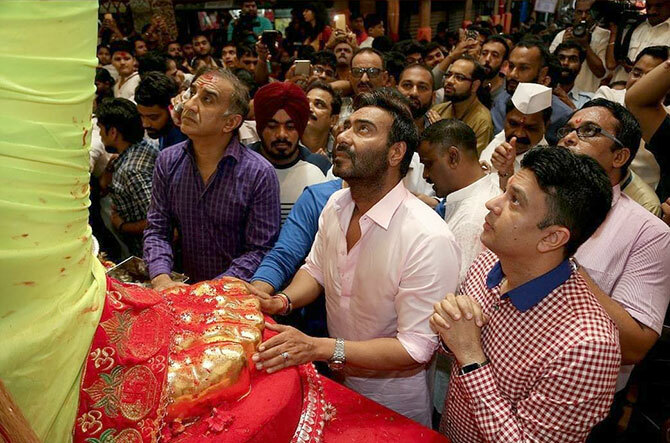 Devgn visits Lalbag Cha Raja in central Mumbai to seek Lord Ganesha's blessings. 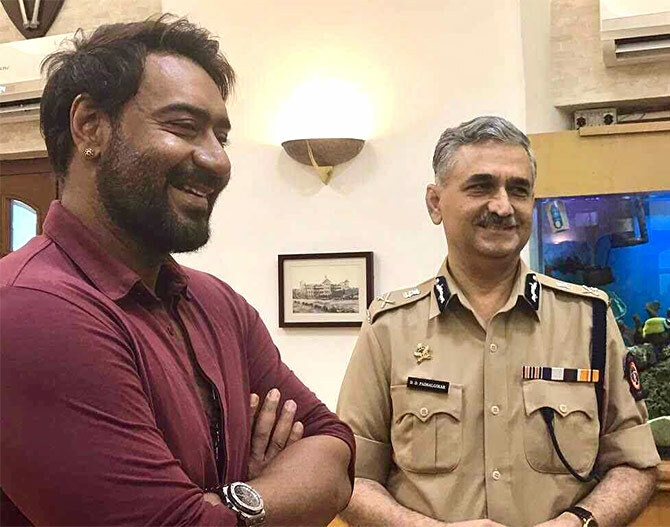 'It's our duty to help #MumbaiPolice in raising awareness to fight serious crimes,' he captions this picture with Mumbai Police Commissioner Dattatray Padsalgikar. Ajay makes beautiful travel memories with his family. 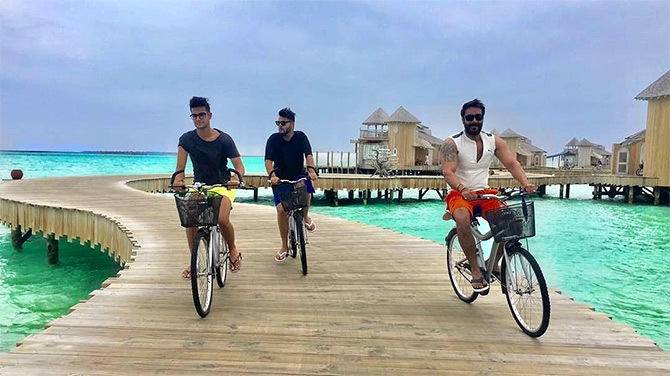 Click here to see pictures from their Maldives vacation. 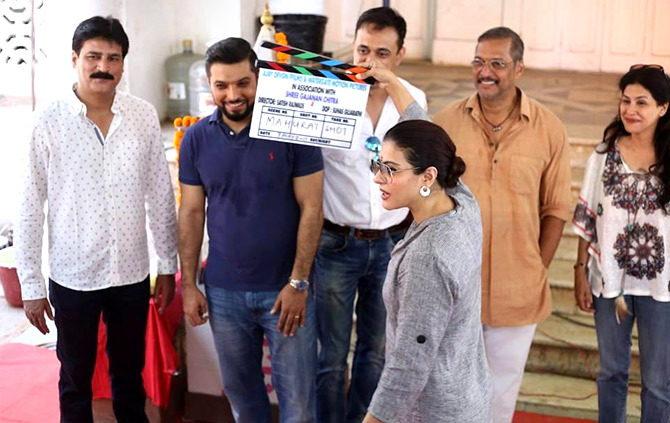 Kajol sounds the clap for their Marathi production Aapla Manus, starring Nana Patekar, Sumeet Raghavan and Iravati Harshe, directed by Satish Rajwade. 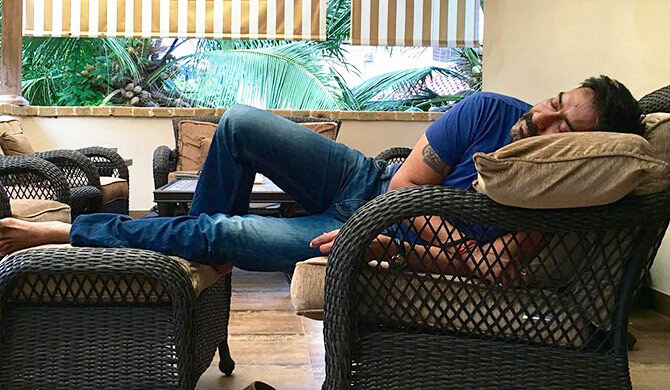 Even superstars need their 40 winks! 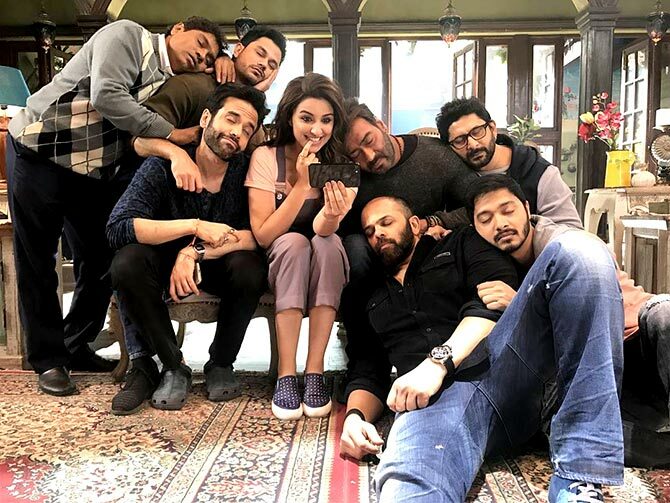 'Every saint has a past... Every sinner has a future,' he captions this picture, as he gets ready to shoot Baadshaho with Director Milan Luthria and co-stars Emraan Hashmi and Esha Gupta.